Intercom enables you to turn more visitors into qualified leads. 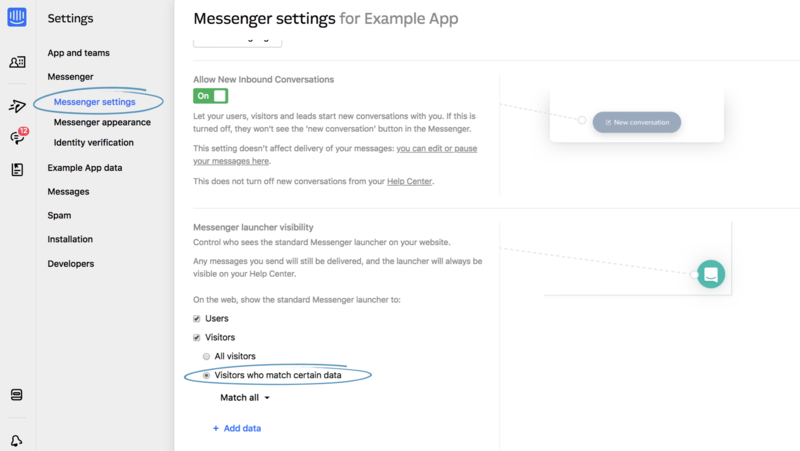 You can engage website visitors in real time through the Intercom Messenger, build custom bots that help your team efficiently qualify and route leads 24/7, and create customer segments and tailored messages that boost engagement. 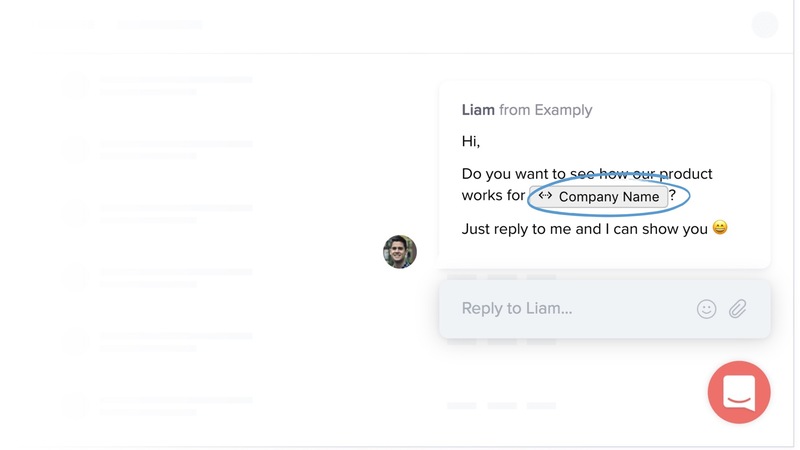 You can use Clearbit Reveal data in your Intercom instance to convert more leads by sending them highly targeted auto messages. You can also use it to only show the Messenger to certain visitors, for example, visitors from the retail industry. Send highly-targeted visitor auto messages to convert more visitors into leads. Choose who can see the Messenger launcher on your site. Filter and segment your leads and users. Send highly personalized messages, using Clearbit data as variables in your message content. Assign leads to a specific team or teammate based on their Clearbit data. See your leads' Clearbit data in their profiles. Note: You'll need an Intercom Premium plan and a Clearbit Reveal account to set this up. 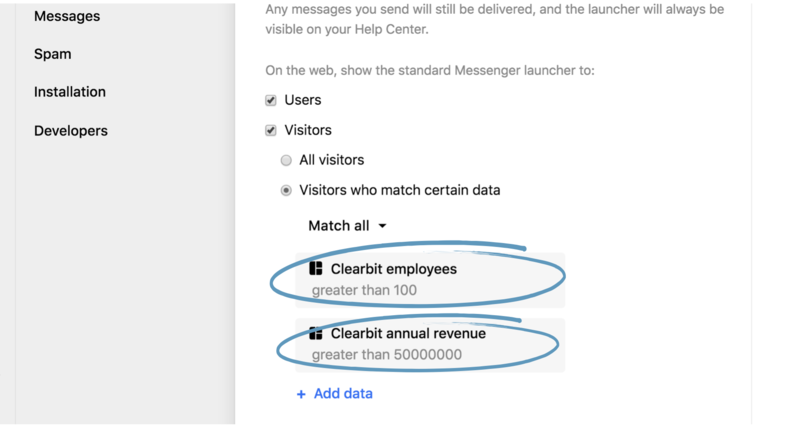 You can only use Clearbit Reveal data with the standard Messenger launcher. Intercom will use Clearbit data as soon as someone visits your website, so you can target them with an auto message immediately. Note: Clearbit Reveal uses IP addresses to provide company data for visitors to your website. 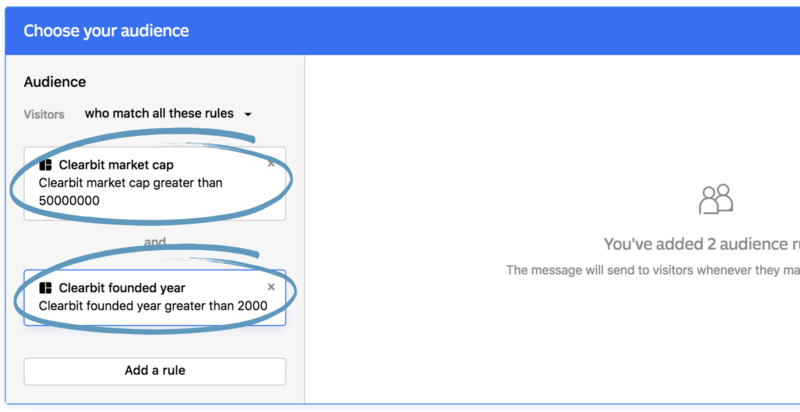 Integrating your Clearbit Reveal account with Intercom uses up some of your Clearbit API rate limit. First, visit your app store and select ‘Install now’ on the Clearbit Reveal app. Then, log into your Clearbit Reveal account and authorize access to finish integrating it with Intercom. Now you’ll be able to use your Clearbit Reveal data with Intercom. 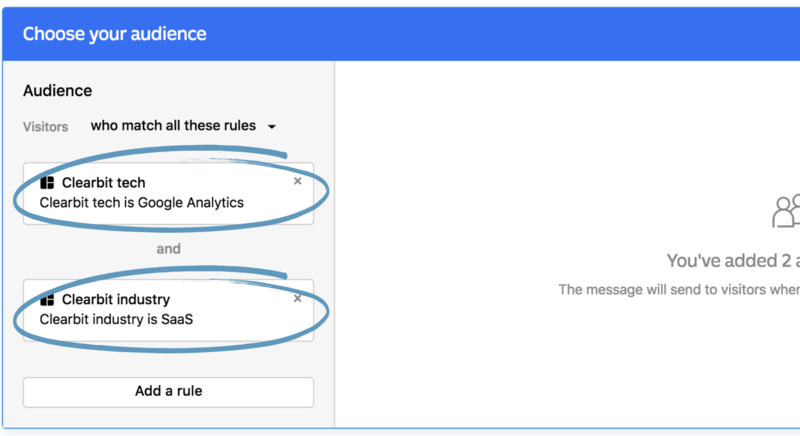 It’s easy to send your auto messages to your target customers using powerful Clearbit data. If your target customers are startups, for example, you can trigger an auto message to send based on how much funding they’ve raised, their Alexa rank, their industry and employee count. If you’d only like to interact with high-value visitors in the Messenger, you could set it to appear for high value prospects whose companies have over $50 million in revenue and over 100 employees, for example. Now the Messenger will only appear to visitors who match this data.